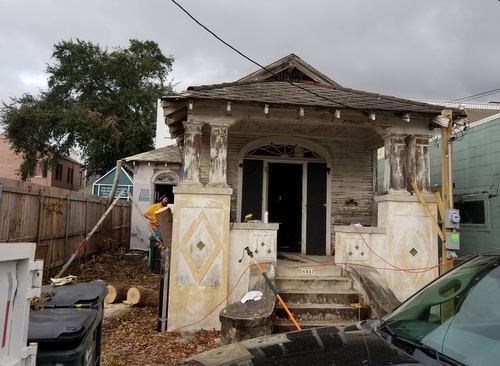 After an extensive renovation to restore a Terpsichore Street home just off St. Charles Avenue, the owners are now hoping to attain a light commercial zoning so that it could be used for an office or studio, they told neighbors this week. The house at 1517 Terpsichore had for years been neglected to the point that demolition seemed imminent, but Robert Knapp and Otis Shipman bought it last year on condition that they try to save it. Now, after extensive renovations, the house is back to its original glamour, they said, but updated with modern amenities. “It’s been falling apart for decades, and people have been trying to file demolition permits,” Knapp said at Monday night’s meeting of the Lower Garden District Association. It sits surrounded by parking lots, however, and some sort of commercial use would be better for it than a family’s home, Shipman said. While part of the lot already has mixed-use classification, a portion of it is zoned for two-family residential, and city law requires the building to be used in accordance with the most-restrictive zoning on the property, Shipman said. The owners do not want a restaurant or bar there, they said, and have not equipped its interior for one. Instead, it would be better suited for a professional office or artist’s studio. Knapp and Shipman have listed the house for sale — and have an open house from noon to 2 p.m. today — but that is primarily to gauge the interest in it, they said. In fact, Shipman said he is considering the house for an office for his own real-estate appraisal firm. 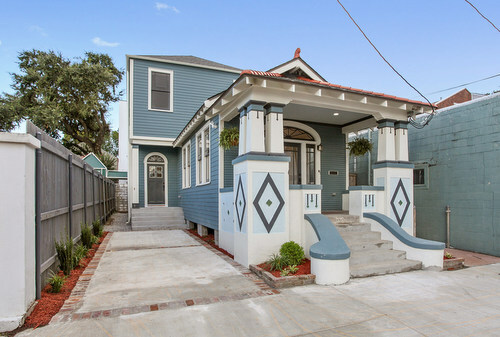 Ryan Kropog, president of the Lower Garden District Association, said he was reluctant to recommend the association support a rezoning while its future remains so uncertain. Instead, Kropog encouraged the owners to make more concrete plans and return to the association then for support.